Siena, 이탈리아의 카사 디 오시오 - 포르타 로마나 | 호스텔월드에서 예약하세요. prepayment of the 50% of the total amount is required. 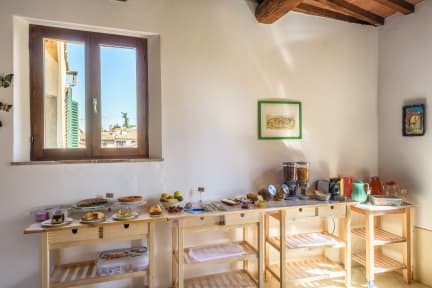 Casa di Osio – Porta Romana is a bright and spacious property that have been newly restored on the second floor (without elevator) of a historical building, a 2-minute walk from the Piazza Del Campo and a stone’s throw from the Cathedral and all the major museums and attractions. Casa di Osio - Porta Romana is the result of many years of experience in hotel services. Benedetta, her husband Matthew and their family share a passion for hospitality, travel and meeting new people. In 2013 we created Casa di Osio Via Montanini, rebuilding a part of the house next to ours.It was truly the beginning of something special so we decided to restore the other apartments of our family to share the love for our wonderful, magic and particular Siena with its unique charm and to discover all its characteristics, to live it and breathe its essence as did the great travelers of the past ..Feeling at home away from home. 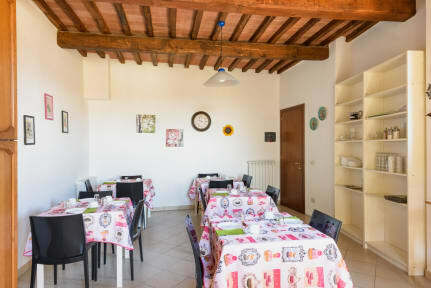 Casa di Osio - Porta Romana is located in the heart of Siena center, near Porta Romana, at 5 minutes walk from Piazza del Campo, 700 meters from the Cathedral and the main museums. The property is in a peaceful and quite side street of one of the richest of typical and ethnic restaurants, pubs, shops ans bars. We offer 9 rooms divided into 3 units with shared bathrooms with shower stall, all different, decorated with style and taste, where class and elegance are combined with comfort and familiarity. A large breakfast room where all guests will come together in the morning and enjoy a rich buffet with fresh local products. Taxes not included - occupancy tax 2.50 EUR per person per night from March to October, and 1.50 EUR per person per night from November to February.